'This is Burma. It is quite unlike any place you know about' wrote Kipling. More than a century later these words still ring true and Myanmar remains a world apart. Its isolation due to the military junta ruling the country since the mid 20th century has impeded the growth of this former capital, Yangon. This has also allowed it, and the rest of the country, to retain its old world charm by holding onto traditions lost elsewhere in Asia. The vintage cars that still grace the wide streets, the national male dress of the longyi and women smothered in thanaka (traditional make-up) are some lovely legacies. Day 1: Yangon Arrival Upon arrival,you will be met by your English speaking guide and transferred to your hotel. (The regular check-in time for all hotels is 2.00pm. Early check-in is not included). Day 2: Yangon (B,L) Although the city of Yangon has grown to accommodate over six million people, it has retained its former charm. Start the day with a visit to the Sule Pagoda. Originally an Indian structure, it is according to legend over 2,500 years old. Stroll through downtown Yangon with its faded colonial atmosphere and visit the beautiful post office. Observe the locals going about their daily when we pass by Mahabandoola Park before visiting the Kyaukhtatgyi pagoda, known for the reclining Buddha that measures 70 metres in length. Lunch is served in town before continuing to the National Museum, which is home to priceless ancient artifacts. Visit the Bogyoke Market (closed on Mondays and public holidays) then head to the Indian quarter for a different view of the city. 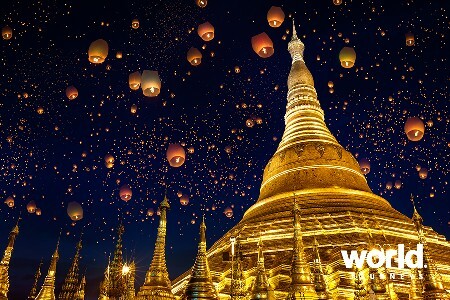 End the day with a visit to the magnificent Shwedagon pagoda, where many local and Buddhists come to worship, before returning to your hotel. Day 3: Yangon > Bago > Yangon (B,L) Depart in the morning after breakfast for Bago, located about two hours from Yangon. Enjoy a fairly smooth ride and observe the rural scenery on the way. 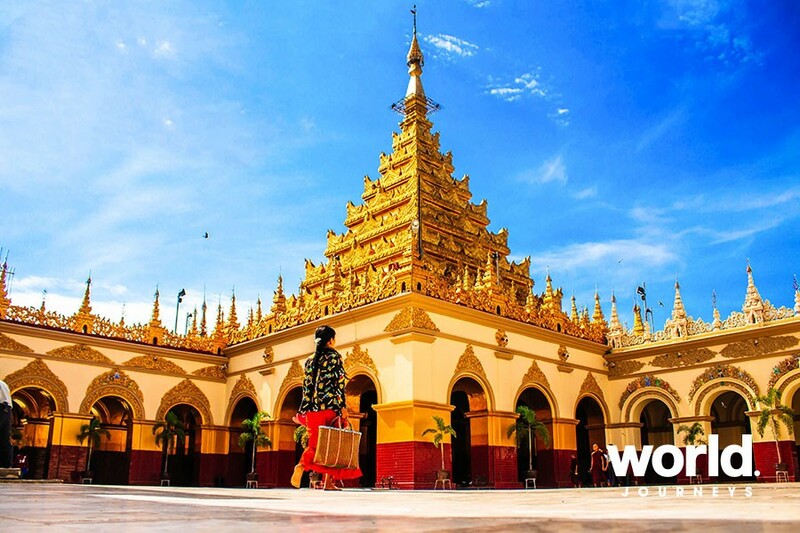 Start your trip with a visit to the Shwemawdaw Pagoda, which is often regarded to as the Golden God Temple. It is the tallest pagoda in the country. Continue to the giant Shwethalyaung, or Reclining Buddha. The large structure is the second largest Buddha in the country and was built in 994 A.D. The Buddha was "lost" after Pegu was pillaged but rediscovered in 1880 when the British ruled Myanmar. End the day with a visit to the Kyaik Pun Pagoda. Built in the 15th century, the statue depicts a large Buddha sitting in four different positions. Lunch is enjoyed in between the visits. Return to Yangon in the late afternoon. Day 4: Yangon > Bagan (B) Transfer to airport for early flight to Bagan. On arrival, you will be welcomed at the airport and transferred to your hotel. (The regular check-in time for all hotels is 2.00pm. Early check-in is not included). The ancient city of Bagan in central Myanmar is reminiscent of other great ancient cities such as of Angkor in Cambodia. Bagan, formerly known as Pagan, was the capital of several ancient Burmese Kingdoms. Approximately 2,200 of the originally 4,400 temples remain standing in Bagan. 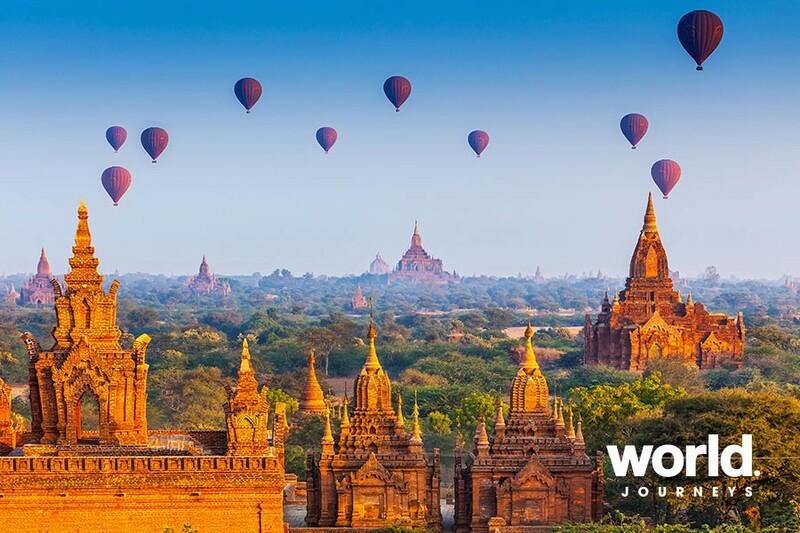 Start your day with a visit to the Dhammayangyi pagoda, Bagan's largest temple. The temple is a large square, single story, pyramidal temple with six monumental ascending exterior terraces. The brickwork is perhaps the finest that can be found around Bagan. Next, continue to the Mingalazedi pagoda, which is one of the few temples in Bagan with a full set of glazed terracotta tiles. 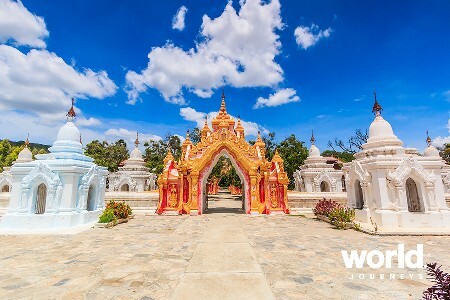 In the afternoon proceed to the Htilominlo pagoda, famed for its original fine plaster carvings and glazed sandstone decorations which are remarkably well preserved. The temple stands 46 metres high and houses four Buddhas on the lower and upper floors. Finally, visit the super Shwezigon pagoda, one of the four most significant buildings in Bagan which served as the centre of reflection and prayer. Later, enjoy sunset from one of the most scenic spots in town and return to the hotel in the early evening. Day 5: Bagan > Mt. Popa > Salay > Bagan (B,L) Rising 1,518 metres from the plains of the surroundings of Bagan, Mount Popa is considered the sacred home of the spirits and is about a 1.5 hour drive from Bagan. Visit a palm village along the way to gain an insight into how palm sugar (jaggery) is produced. 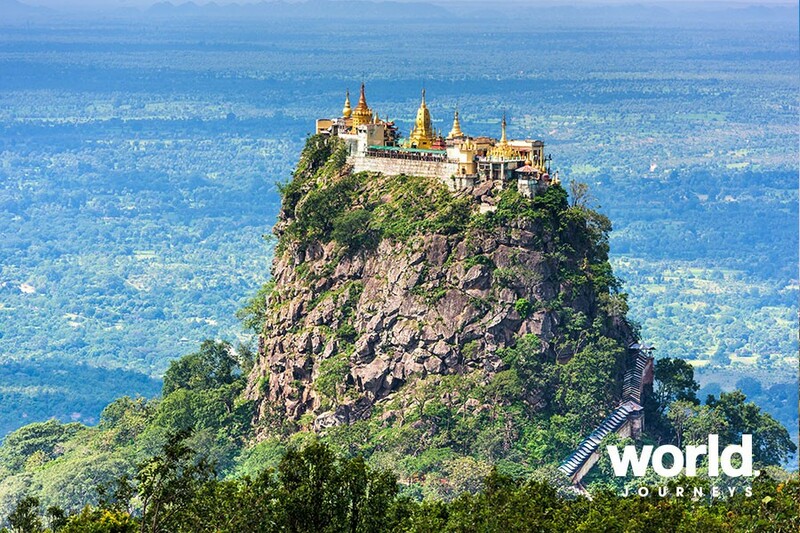 Continue to Mount Popa and visit Taung Kalat, the temple which sits atop like a plug in the volcano and holds significance in Myanmar's history and religion. The monastery is home to the 37 nats (spirits) of Myanmar, which are displayed at the base of the temple. The views from atop are incredible and may reach as far as Bagan on a clear day. Enjoy lunch and continue to the colourful old religious centre of Salay - home to a large number of monasteries and colonial buildings. Visit Yoke-Sone-Kyaung, which was built in 1882 and is nowadays a cultural heritage site. Situated on the eastern bank of the Ayeyarwaddy River, the monastery is famous for its spectacular wood carvings. Return to Bagan late afternoon. Day 6: Bagan > Mandalay (B) Transfer to airport for your flight to Mandalay. On arrival, you will be welcomed at the airport and transferred to your hotel. (The regular check-in time for all hotels is 2.00pm. Early check-in is not included). In the morning, visit Mahamuni Temple - one of the most famous temples in Myanmar. Built in 1784 by King Bodawpaya, the temple also exhibits some influence from Hindu and and Khmer (Cambodia) style, in the same compound is the little museum of lucky bronze statues. Next, we'll head to the Cultural Museum which was opened in 1996 and boasts a nice collection of articles, artifacts, costumes and furniture of royalty. Next, head to the Kuthodaw Temple, right at the foot of Mandalay Hill, Kuthodaw is world renowned for having the world's largest book - a collection of 729 stone slabs documenting the teaching of The Buddha. Drive right up Mandalay hill to visit the serene standing Buddha at Shweyattaw temple which is said to have pointed the way to the former capital. Enjoy the view from the top of the hill and continue back to town. Day 7: Mandalay > Ancient Capitals > Mandalay (B) Amarapura, Ava (Inwa) and Sagaing are all former capitals of the old kingdom of Myanmar. Start with a transfer to Amarapura, the 18th century capital where the country's largest monastery is located; Maha Ghandayon. Continue to the magnificent teak bridge of U Bein, which is over 200 years old. 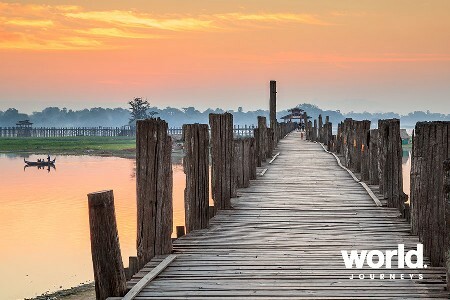 It is the longest teak bridge in the world. Cross the Ayeyarwaddy River and head for the picturesque Sagaing Hill. The area houses an incredible amount of pagodas and monasteries, all painted white. 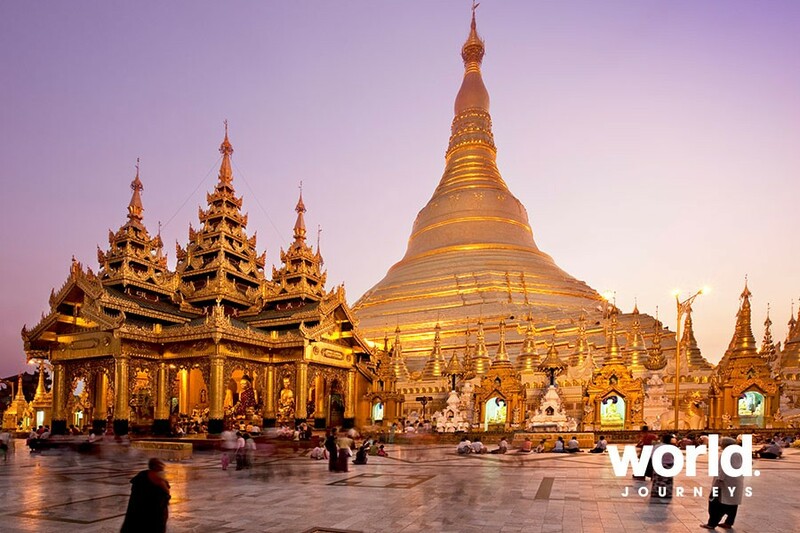 It is a religious centre in Myanmar and is home to over 3,000 monks and 100 meditation centres. End the day with a visit to another ancient capital, Ava, which was the capital of Myanmar before Amarapura. Board a horse carriage and ride to the wooden Bagaya Monastery and the remains of the Royal Palace. Return to Mandalay in the late afternoon. 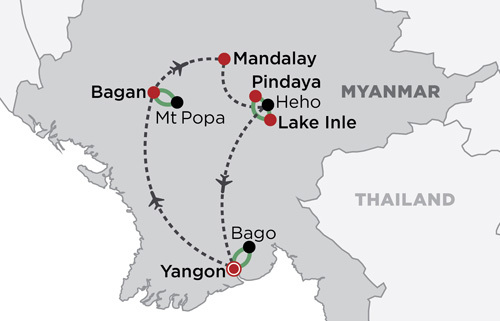 Day 8: Mandalay > Heho > Pindaya (B) Transfer to Mandalay Airport for your flight to Heho. Upon arrival, transfer to Pindaya. Pindaya a short 1.5-hour drive from Inle, and is renowned for its limestone caves, called the Pindaya Caves. The caves are a Buddhist pilgrimage site and house thousands of Buddha images. There are three caves on the ridge, which runs north to south, but only the southern cave can be entered and explored. A well worn path leads to the back of the cave, about 150m deep. There are about 8,000 Buddha statues on display in the cave, left by previous pilgrims. The earliest statues date back to the mid 18th century. Wander around the cave and allow some time to explore the town, which is beautifully situated at a small lake and surrounded by mountains. Visit a Shan umbrella and mulberry paper production home industry and return to Inle. Day 9: Pindaya > Kalaw > Inle Lake (B,L) In the morning, transfer to the hill town of Kalaw. The town is a former British hill station and is located at an altitude of 1,320 metres above sea level. The drive winds its way through the mountains surrounding Inle. Upon arrival, visit the Pinmagon monastery and observe the bamboo strip lacquer Buddha Image. The image is believed to be over 500 years old and measures over 2.5 metres tall. Kalaw has some marvellous trekking routes that lead over small paths, offering magnificent views of the rough mountainous landscape. Take a short hike and enjoy a picnic lunch on the way. In the afternoon, visit the King church, which is a colonial Catholic church and wander through town to observe the colonial style buildings still standing. Visit the local market and observe the different hill tribes coming together to do their daily businesses. 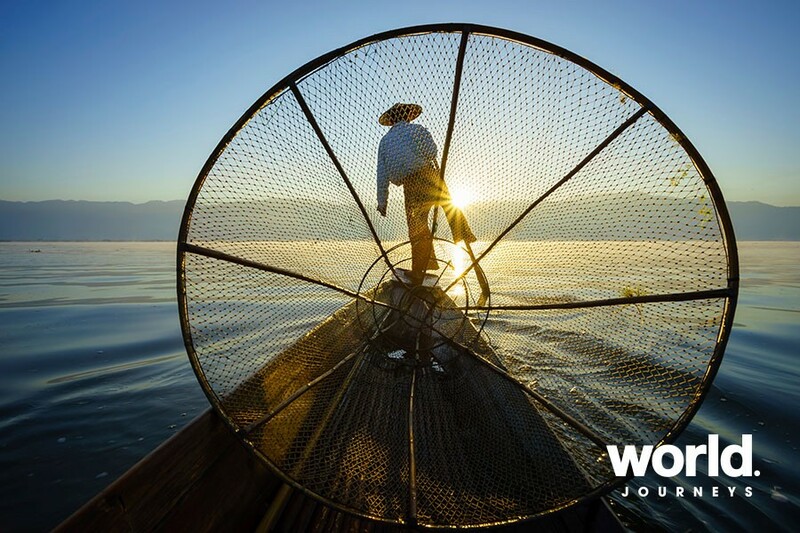 At the end of the day, enjoy a scenic one-hour drive to Myanmar's second largest lake, Inle, which measure 70kms. Located at an altitude of 880 metres, the lake is also one of the highest in the country, with a cool climate and exceptional flora and fauna. 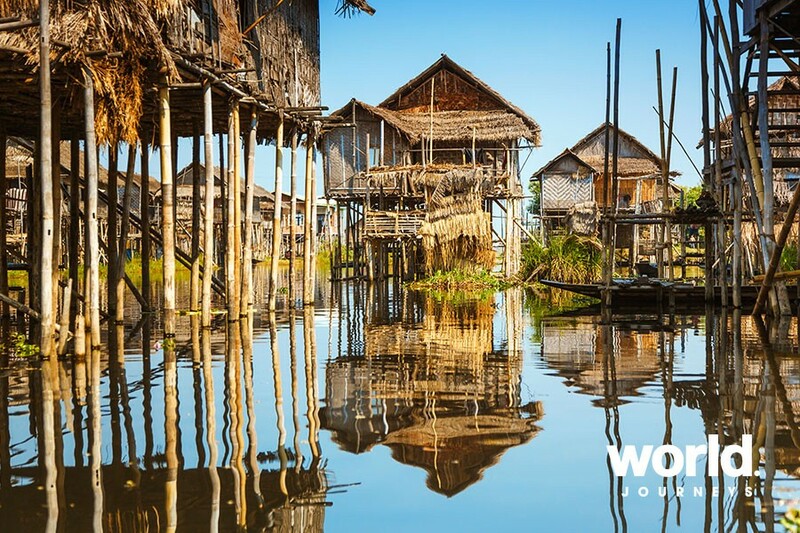 Day 10: Inle Lake (B,L) Enjoy a boat trip on the lake and observe the beautiful surroundings en route to the floating market and floating gardens. Lunch is served on the shores before departing for the southwest of the lake where the Indein pagoda complex is situated. Take the small covered path from the Pa O tribe village to a monastery and the very impressive ruins of hundreds of ancient pagodas, some hidden under vegetation. The main stupa-area on the top of the hill offers breathtaking views over the surroundings and into the valley with the lake in the far distance. Transfer back to your hotel, and enjoy the rest of the day at leisure. Day 11: Heho > Yangon Departure (B) Free time at leisure until your transfer to airport for the flight to Yangon. (The regular check-out time for all hotels is 12.00 pm. Late check-out is not included). Arrangements conclude at Yangon Airport. During Thingyan, the Burmese New Year in Myanmar, many shops, restaurants & businesses are closed during this period or may operate on a limited schedule. As it is a tradition to splash water on each other to bring good luck during this period, travelers in Myanmar during this period should take care of their phones, cameras & laptops.